Crosstown Arts, East Gallery, Crosstown Concourse, 1350 Concourse Ave.
An exhibition of photographs from the Ernest Withers collection, including works from Dr. Withers’ vast archive of more than one million negatives that have never been seen by the public. Crosstown Arts, West Gallery, Crosstown Concourse, 1350 Concourse Ave.
Exhibition in conjunction with a four-day arts conference that was held at Crosstown Arts in March with a goal to expand the spectrum of emerging artists to new and existing collectors to support the arts economy. 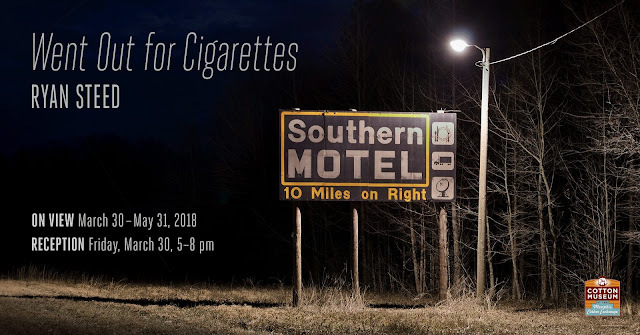 Exhibition of ho scale graffiti, freight photography, track displays, and graffiti photography by multiple artists. Hosted by BoradExplorer. Hosted by the Junior League of Memphis. Visit Crosstown Arts resident artists’ studios and view their work in progress. Multi-day festival featuring original musical compositions for the mellotron performed live alongside newly created multidisciplinary installations. New work for the mellotron by composer Robert G. Patterson, performed by Memphis Symphony Orchestra. A documentary featuring keyboardist Audie Smith. Performance by Ross Rice collaborating with the New Ballet Ensemble. Performance of new works and collaborations for the mellotron by Robby Grant, Jonathan Kirkscey, John Medeski, and Pat Sansone. Projections by Winston Eggleston and John Markham. Reprise brunch featuring a performance of various acts from Part 1 of Mellotron Variations. Q&A sessions with performers from parts 1 and 2. Crosstown Arts’ Open Crit series is a monthly critique event where visual artists are invited to bring new and/or in-progress studio work for critical feedback and group discussion particular to each artist’s practice. A dedicated facilitator with experience in a group critique setting will guide discussion for each critique event, which will include up to 4 artists’ work, with 15-25 minutes devoted to the work of each. All visual artists and anyone interested in joining the discussion are welcome to participate regardless of their level of expertise, prior professional art experience or background/education in fine art. Participation is free and open to the public. Input during the critiques from everyone in attendance is welcomed and encouraged. Monthly short film screening series, presented by Indie Memphis & Crosstown Arts. Films include I Live Here, Mrs. Drake, Last Call Lenny, Fry Day, Gema, and New Neighbors. In Alice Bolin’s upcoming book, Dead Girls, she writes about moving to L.A. and seeing the city through a white male literary lens, and needing to trust her own eyes rather than what she’s read. Miriam Bale’s path through the male-dominated world of film criticism at New York newspapers was similarly one of learning to trust her own eyes. The two writers will have a dialogue about different ways to engage with writing about film, a misogynistic industry, as women. Dead Girls (which covers Twin Peaks to True Detective) is an essay collection out in June 2018 from William Morrow/ HarperCollins. Alice Bolin teaches nonfiction at the University of Memphis. Miriam Bale is new Senior Programmer of the Indie Memphis Film Festival. 230 and 240 Art & Communication Bldg. The Spring 2018 MFA thesis exhibition Flesh Out features the work of Kelly Cook, Ellen Dempsey, Bienvenido Howard, Jennalyn Krulish, and Lacy Mitcham. An investigation of conceptual and physical elements is “fleshed out” as they emerge in the graduate work of these five artists. The exhibition is an amalgamation of notions about what it means to be human and art’s incarnational qualities. Similar to a human body enveloped in living skin, the exhibition reveals layers of artistic, social, personal, and philosophical connections. Sculptures and installation by Lacy Mitcham center on the repulsive and attractive qualities of the human body, reflecting her studies of psychological and physical maladies. The intangible nature of human connection is conveyed through the metaphor of social interaction in the watercolors of Kelly Cook. Ellen Dempsey’s furniture sculptures, infused with humor, utilize quotidian objects to emphasize discarded or overlooked properties. Jennalyn Krulish’s paintings of ecological relationships share specific knowledge about human involvement in the biosphere. Painter Bienvenido Howard deals with the liminal space between the viewer and portraiture. His work echoes the undergirding theme of Flesh Out, which expresses how artistic works exemplify a process of continual growth. Like us on Facebook and subscribe to our events! We are looking for collections! 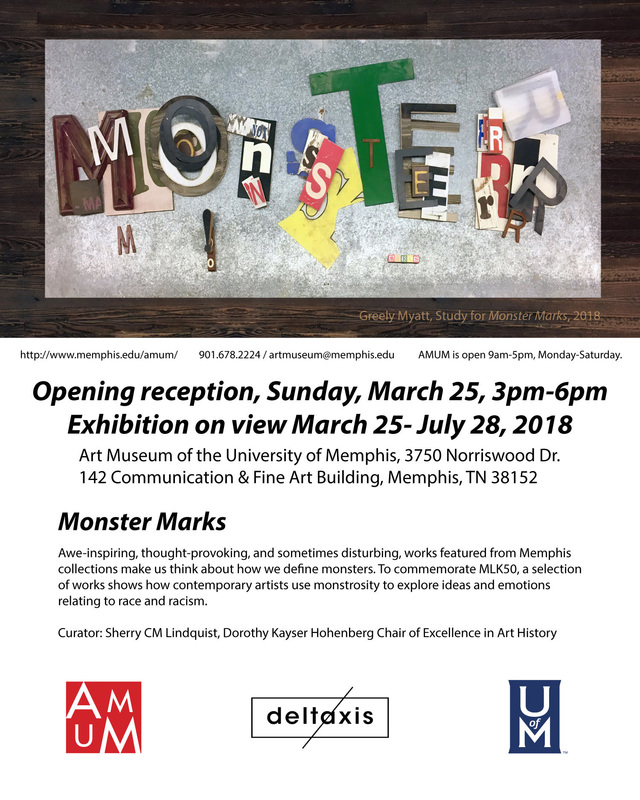 Our summer show for 2018, Consuming Passions, will feature collections from the Memphis region. We have dolls, memorabilia from both World Wars, a sports collection, a collection of Moon Pie paraphernalia and other interesting lots. Do you have something you want to show off? Contact our assistant director, Warren Perry, at ewperry@memphis.edu. Tops Gallery is pleased to announce The Daily Avalanche an exhibition of new drawings and prints by John Shorb. In this exhibition Shorb creates imagery collected from historical archives with a particular focus on bygone newspapers and scenes of genteel disquietude. Late 19th and early 20th century newspapers are rendered as both nearly illegible palimpsests and wiped-out voids. 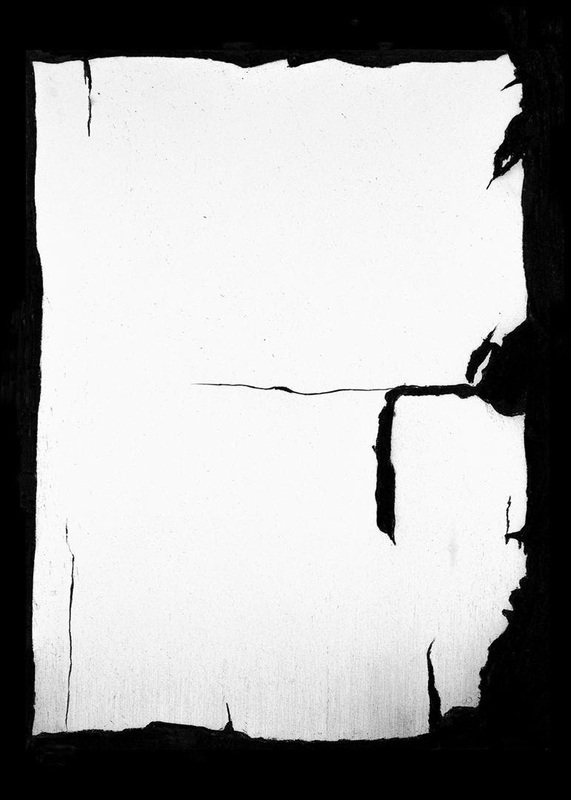 Shorb's drawings of these disintegrating papers, emptied of content and reduced to their broadsheet form, suggest tabula rasa, modernist idealism, tombstones, and cracked screens. 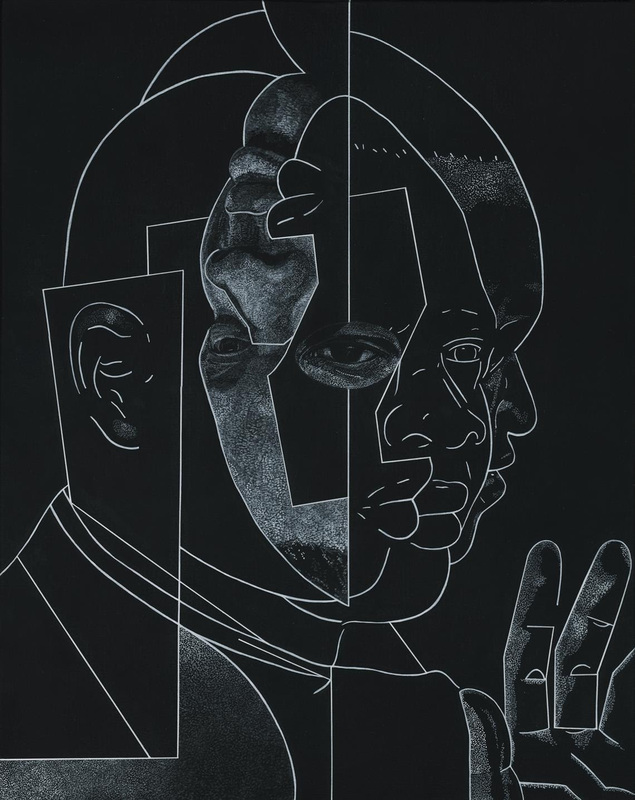 The printed works multiply, fracture, and layer examples like The Weekly Caucasian and The American Citizen into abstraction, hot off an awry press. These especially partisan papers, whose readers are literally and figuratively on the same page, are absent from the collective memory, but mimic the current state of news. Shorb presents this form of ideally objective information in a mode of ambiguity apt for the white noise that delivers misinformation and propaganda and upholds a brutal status quo. More intimate drawings of birdhouses and hunters offer a vision of hopeless nostalgia for an agrarian past that still remains ubiquitous in Southern iconography. In the Madison Avenue Park space Shorb will present Colonel Memphis, a drawing, depicting a manic Cotton Carnival caricature, affixed to a wooden scaffolding. Shorb explores what imagery is "fit to print" in a time when everything is available to search. John Shorb is an artist living and working in Brooklyn. Shorb has had solo shows at the University of Mississippi Museum, Northeastern University, and Long Island University in Brooklyn. 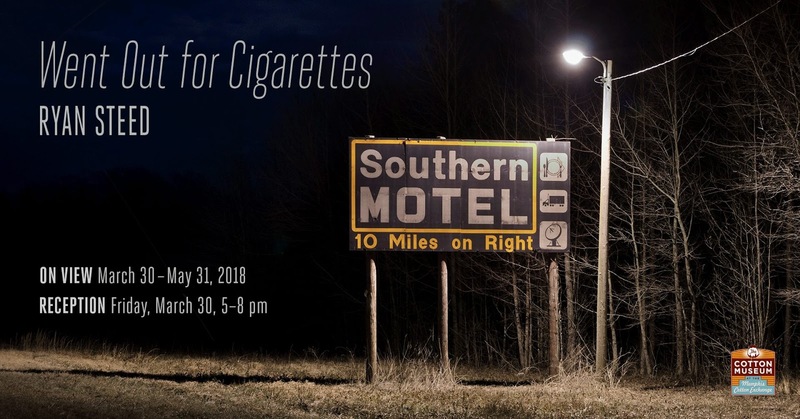 He was awarded a Hambidge fellowship in 2011 at the Hambidge Center in Georgia as well as a Winter Residency in 2017 at Penland School of Crafts. He studied film and literature at Carleton College and then received an master in divinity from Union Theological Seminary in New York City.